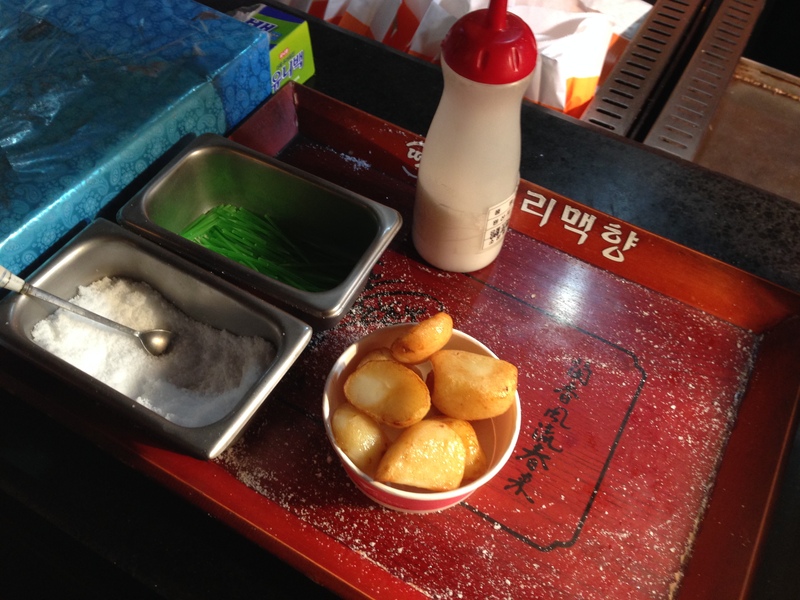 So this is my final post relating to my food adventures in Korea on Mastication Monologues. 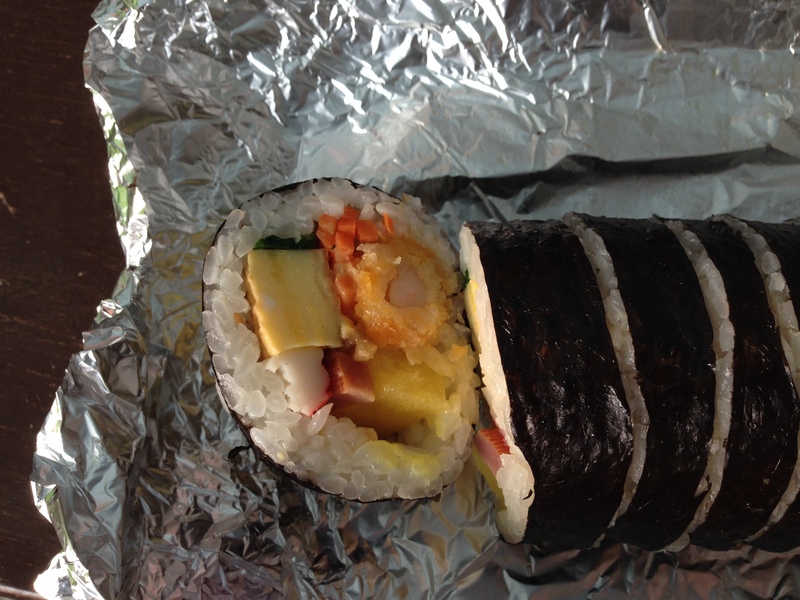 So I started the day off with some special kimbap. What makes them so special? 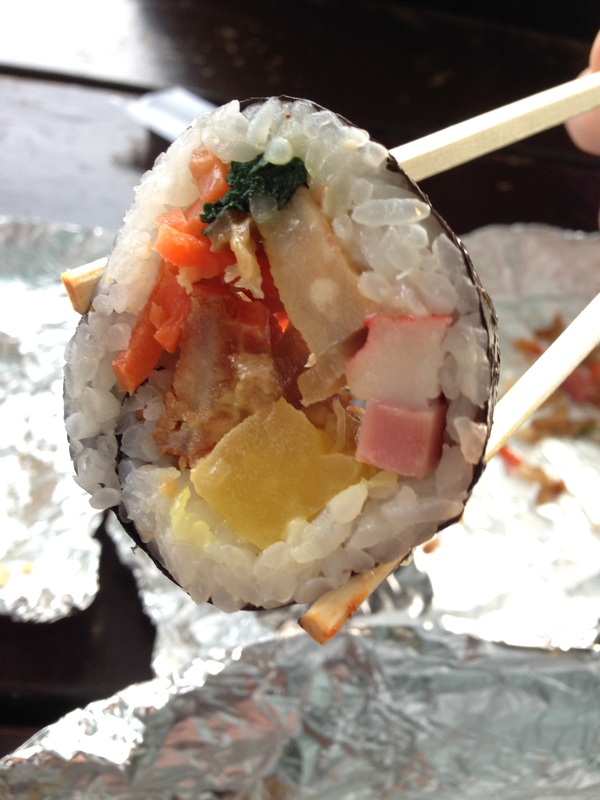 These kimbap actually contained pieces of donkatsu (breaded pork cutlet), fried shrimp, and spicy peppers. 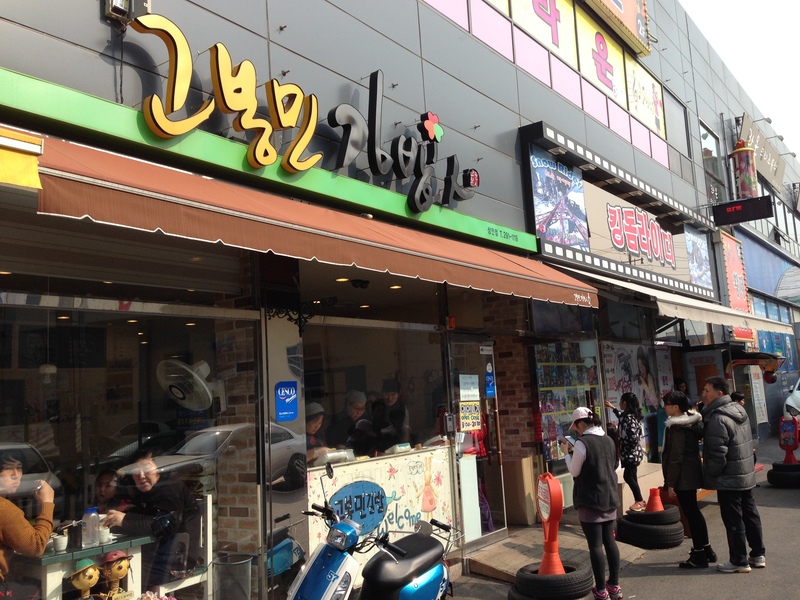 The restaurant we went to was quite popular in Ulsan, and they said they’d make the pepper kimbap extra spicy for me. Now that’s service! They were eventually ready to go as I hit the road back to Incheon. 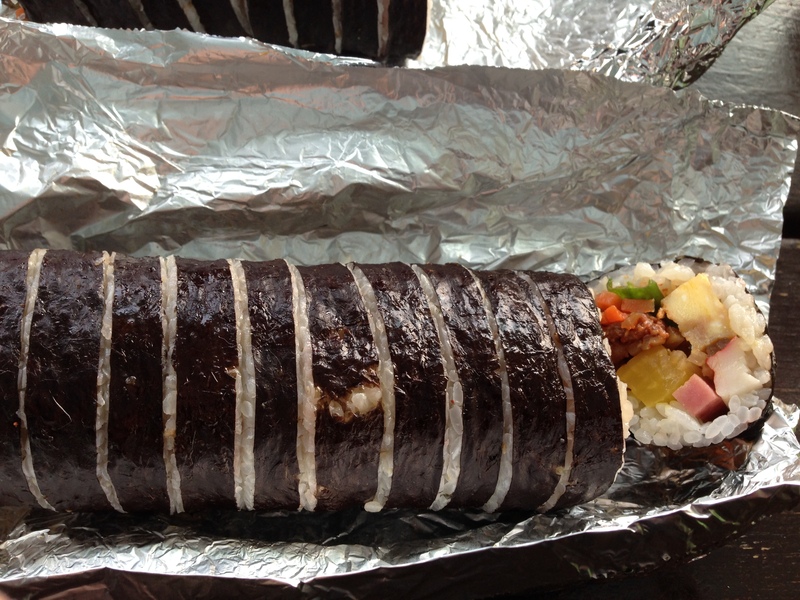 I tried the kimbap at one of the road stops along the way. I decided to first try the “special” spicy pepper kimbap, and I don’t know what made them so special. True, it did have small pieces of the fiery Korean peppers inside that are signature side dishes for meat meals, but it wasn’t any spicier than a jalapeno. 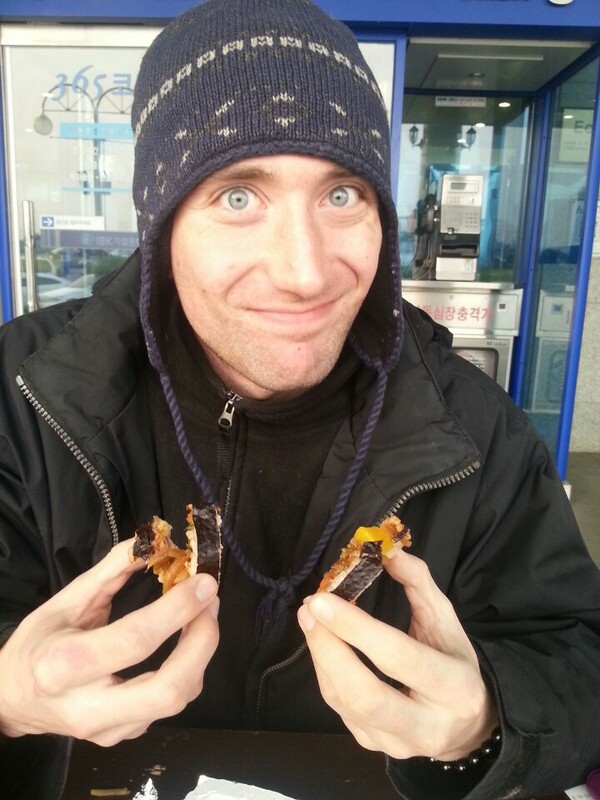 However, the donkatsu and fried shrimp kimbap were crazy delicious. 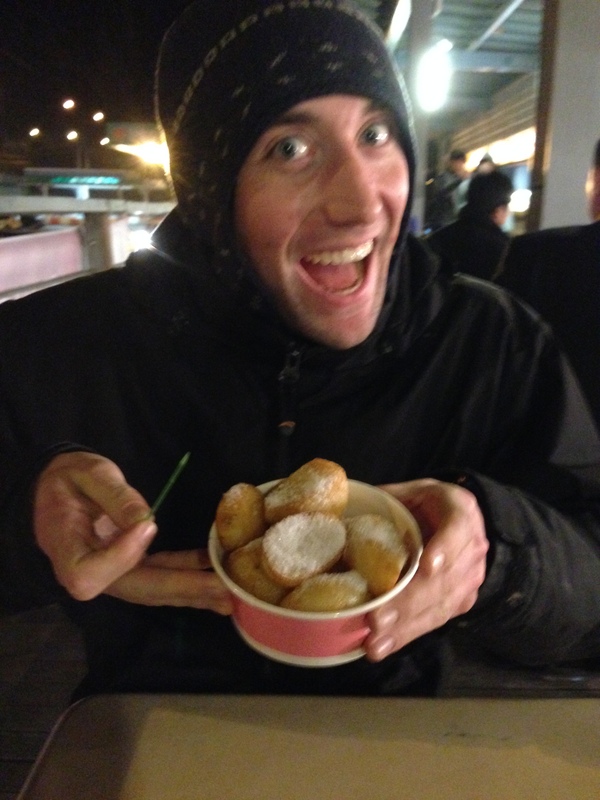 The crunchy, fried pieces of meat were fresh and were an exquisite contrast to the cold but plentiful vegetables. Some of the slices fell apart while I was trying to grab it with my chopsticks, so I had to be careful. 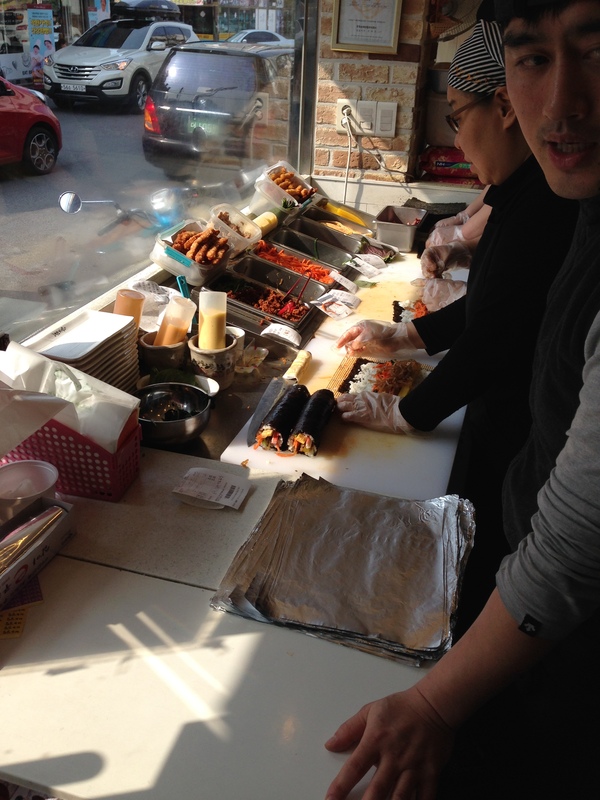 Getting down and dirty with the kimbap. I quickly downed them and was back on the road. After a bit more traveling, I found a larger rest stop selling potatoes. 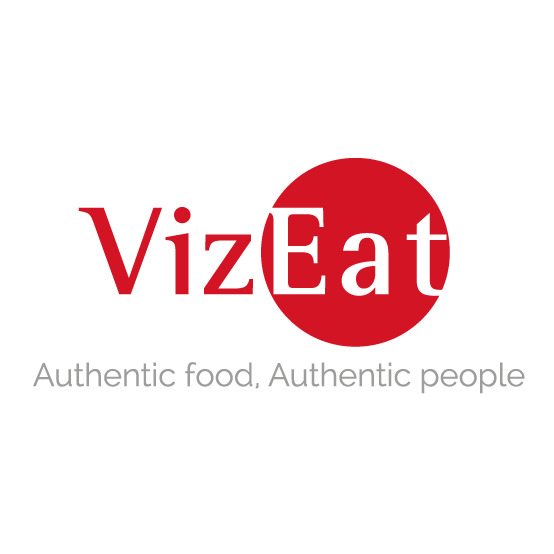 It was pretty straight forward as they were just chunks of steamed potatoes with a bottle of salt and a tin of sugar on the side for your own discretion. I shook and scooped a generous helping of each on the cup and made our way to a table. I was pleasantly surprised to find that the sugar and salt worked their own culinary yin and yang for me as I greatly savored this starchy treat. However, my delight soon turned to disaster as I liberally dabbed a potato piece in a white pile of what I thought was sugar, but it was salt…I ran to the nearest water cooler and washed the taste of the Dead Sea out of my mouth. I finished the last couple nuggets, and we survived the rest of our long sojourn northward. 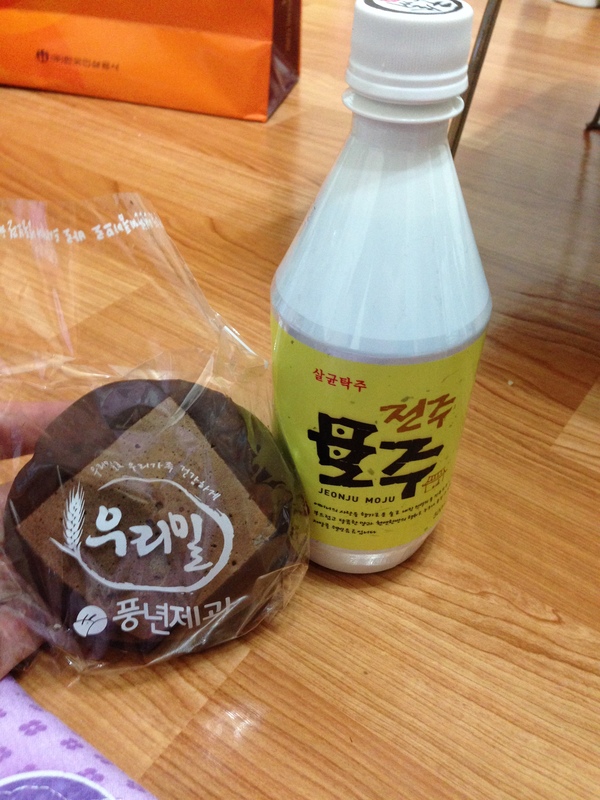 My last full day in Korea finished with a gift of food from my other friend Bora in the form of chocopies and moju. The former were what their name suggests. They consisted of two moist pieces of chocolate cake with white cream in the middle, and the whole dessert is covered in dark chocolate. I’m kind of a chocoholic, so I loved them regardless of Bora saying that they tasted weird to her. 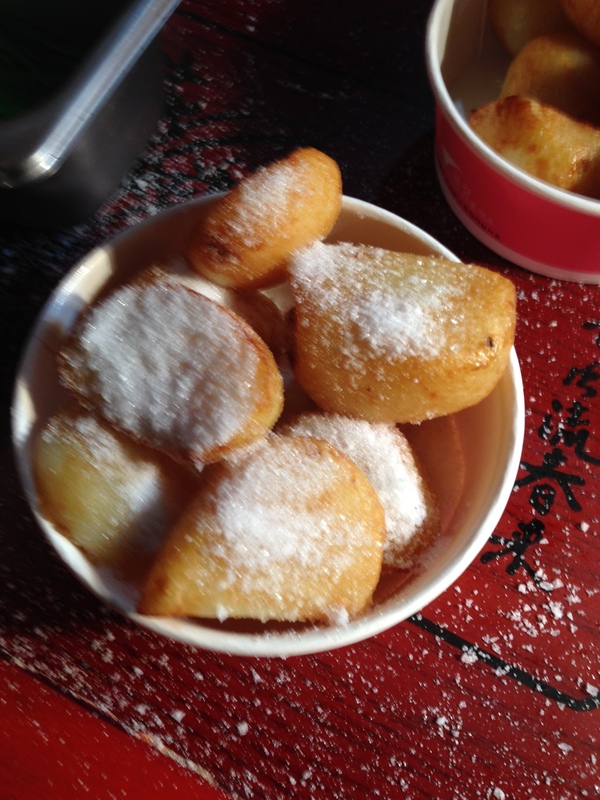 As for the moju, it was a type of rice wine filled with different ingredients like cinnamon, jujube, and ginger. I could only liken it to a slightly different egg nog with a low alcohol content.